As Uncertainty Looms What Can We Expect from the Trump Administration? While Trump has not provided details on what his immigration policy might look like, he has outlined his 10-point immigration plan on his campaign website and his all new website Greatagain.gov. Notably absent from Trump’s statement prioritizing border security, was any indication of the construction of a physical wall between U.S. and Mexico, something that he has emphasized time and time again during his campaign for the presidency. Trump also dodged a question regarding a proposed Congressional ban on Muslim immigrants. On his campaign website, Donald Trump has stated that under his administration, all immigration laws will be enforced, and priorities for removal will be made. He also makes the bold statement that anyone who has entered the United States illegally will be at risk of deportation. Under his administration, enforcement priorities will include the removal of dangerous criminals, gang members, security threats, visa overstays, and public charges. Those who unlawfully receive state, local, or federal government benefits they are not entitled to receive such as welfare will be prioritized for removal. Overall Trump’s immigration policy includes a crackdown on illegal immigration, removal of dangerous criminal aliens, removal of undocumented immigrants, securing the border, implementing security measures to prevent terrorists and dangerous criminals from being admitted into the United States, and ensuring that people enter the United States legally, after passing security checks. As part of his campaign platform Donald Trump touted his 10-step vision on immigration policy. It is not yet clear whether Donald Trump will continue to pursue this 10-step plan or whether it will be modified as he consults with his top aides. Trump has said he will build a wall along the Southern U.S./Mexico border using cutting edge technology, including above-and below-ground sensors, towers, aerial surveillance and manpower to supplement the wall, find and locate tunnels, and deter criminal cartels from entering the United States. Despite the Mexican president’s refusal to make financial contributions to the building of such a wall, Trump has maintained that Mexico will pay for construction of this wall. Trump has vowed to end the catch-and-release policy, and instead vows to implement a policy that will require any person caught trying to cross the border illegally to be removed from the United States. The Trump administration will prioritize the removal of criminals unlawfully present in the United States. Trump has vowed that beginning from his first day in office, criminal aliens will be removed from the United States in joint operations with local, state, and federal law enforcement. Trump has said that under his administration detainment orders will be issued for undocumented immigrants who have been arrested for any crime, and placed in immediate removal proceedings. Trump plans to cooperate with local law enforcement to ensure removal of criminal aliens. Trump has vowed to restore the Secure Communities program to identify deportable aliens in local jails. On his first day in office, he plans to ask Congress to pass a piece of legislation known as “Kate’s Law” that will ensure that undocumented criminal aliens with repeated re-entry violations face mandatory minimum sentencing. He has also proposed the passage of legislation called the Davis-Oliver bill that will facilitate the removal of criminal undocumented immigrants and terrorists at the local and state level. Trump plans to triple the number of ICE deportation officers, creating a Deportation Task Force, to remove dangerous criminals who are unlawfully present in the United States. Trump proposes to hire 5,000 additional Border Patrol Agents and expand the number of Border Patrol Stations. Trump plans to end funding for Sanctuary Cities that are noncompliant in the detention of undocumented immigrants. He proposes that cities who are found to be noncompliant will no longer receive government funding. Trump wants to work with Congress to pass legislation protecting jurisdictions that comply with the detention of undocumented immigrants. Trump plans to cancel what he calls “unconstitutional executive orders passed by President Obama” referring to the passage of Obama’s 2014 Executive Actions on Immigration. Trump will not allow the expanded Deferred Action for Childhood Arrivals (DACA), and the Deferred Action for Parents of Americans and Lawful Permanent Residents (DAPA) program to go forward under his administration. Trump plans to call on the Department of Homeland Security to suspend issuance of visas in geographic regions where there are inadequate security screening processes. During his first days in office, Trump has said that he will ask the Department of State, Homeland Security, and Department of Justice to begin a comprehensive review of cases where foreign born individuals have been convicted of terrorism or terrorist activities. These agencies will then be asked to develop a list of regions and countries where immigration to the United States will be suspended temporarily until effective security screening processes and vetting mechanisms have been implemented. Trump has proposed that immigration will likely be suspended for Syrian and Libyan nationals under this policy. Trump plans to introduce new screening tests for all applicants creating a requirement that immigrants present an ideological certification attesting that their values are in line with those of the American people. Applicants will be asked about their views of honor killings, respect for women, gays, and minorities, attitudes on Radical Islam, and other issues as part of their security screening. Trump will require countries to take back their citizens following deportation proceedings, and vows to prevent violent criminals from being released into the U.S. population. Trump will enforce a biometrics entry-exist visa tracking system. This system will require border patrol agents to capture biometrics of all visa holders entering and exiting the United States by land, air, and sea ports to prevent foreign nationals from overstaying their temporary visas. Removing visa overstays will be a top priority under Trump’s administration. Under the Trump administration, E-verify will be enforced and expanded throughout the United States. Select immigrants based on their likelihood of success in U.S. society, and their ability to be financially self-sufficient. We need a system that serves our needs – remember, it’s America First. And establish new immigration controls to boost wages and to ensure that open jobs are offered to American workers first. In light of Trump’s recent election, undocumented immigrants and Muslims in particular have been fearful of living in the United States. At this time it is very important that we remain calm. 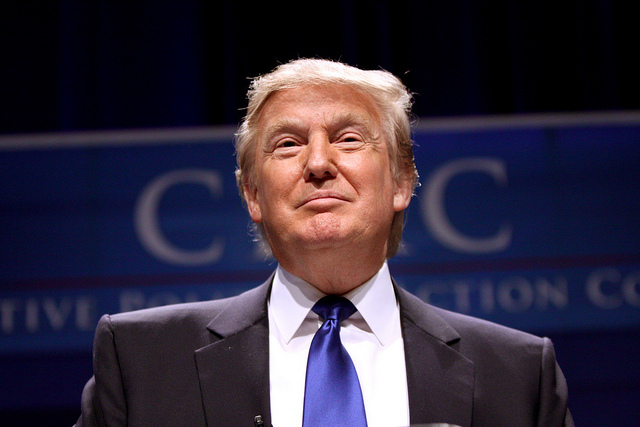 It is not yet clear what policies Trump will pursue when he begins his presidential term. Even if Trump acts on these policies as President, the House of Representatives and the Senate will need to pass legislation for these policies to become law. It is still too early to predict exactly what measures the Trump administration will take, however you can rest assured that these measures will take time to become law. These proposals will not be implemented overnight. As soon as President Trump takes office in January we will know more about his immigration policy. It may very well be that his tone will change dramatically as president of the United States and he will scale back his more extreme deportation policies. For more information on his immigration policy, please click here. For information about the legal services we offer please visit our website.